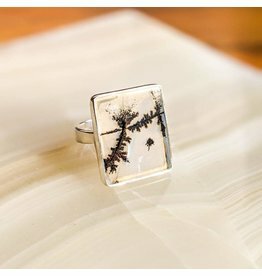 It's like a framed dendritic agate that you can wear on your hand! 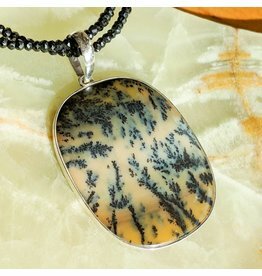 Pair this beauty with a black onyx bead necklace! 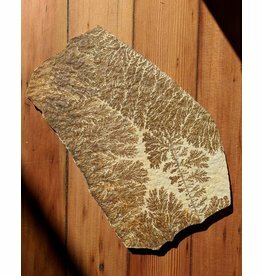 Looks like a fossil, but it's not!